Finding the perfect table for your home is not an easy task is it, and for my own home I was on the look for quite some time. Almost every table I came across had some pros and cons and the ones I really loved had the wrong size or were way above my budget. Not being able to find the right table I decided to design my own and got the blacksmith at Stoer Metaal to make it for me and it turned out beautiful. It has the perfect size and minimalistic appearance I was looking for, what makes it even more different is the thin metal tabletop. I am fully aware my kitchen and taste is not average, with mostly black accessories, a metal cart from the post office, an antique metal cabinet and now this metal table it needs some warmth. You might have seen I recently painted one of the walls in a beautiful sandy colour and added a Frama bench with a wooden seat to start with! Win a €200 voucher from Stoer Metaal. 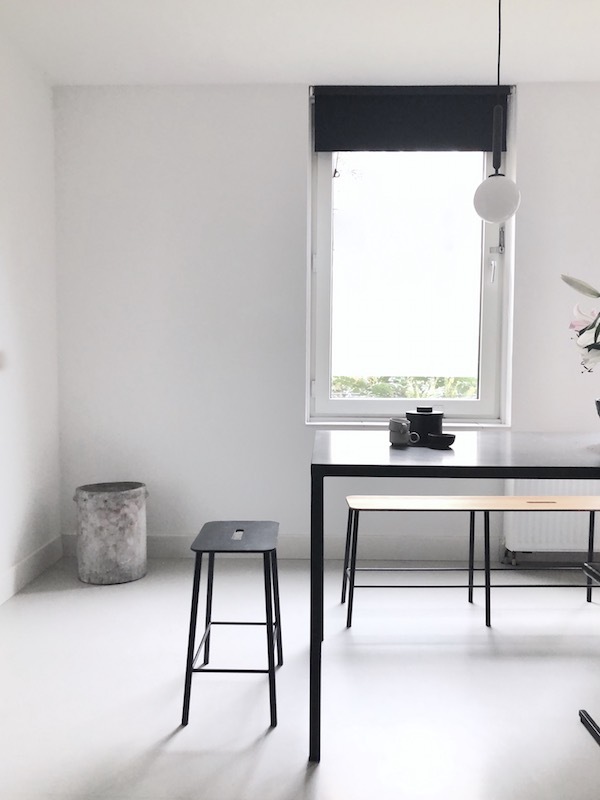 For today's giveaway I teamed up with 'Stoer Metaal' and you can win a €200 voucher to use at the online webshop which is specialized in metal furniture and accessories from both small and established brands to give your home a tough and sturdy touch! At home, I am working on some more changes...after a leakage in the kitchen I am looking into new floor and kitchen ideas and I might paint some more walls too, not an easy task as there are so many things to think off at the same time. 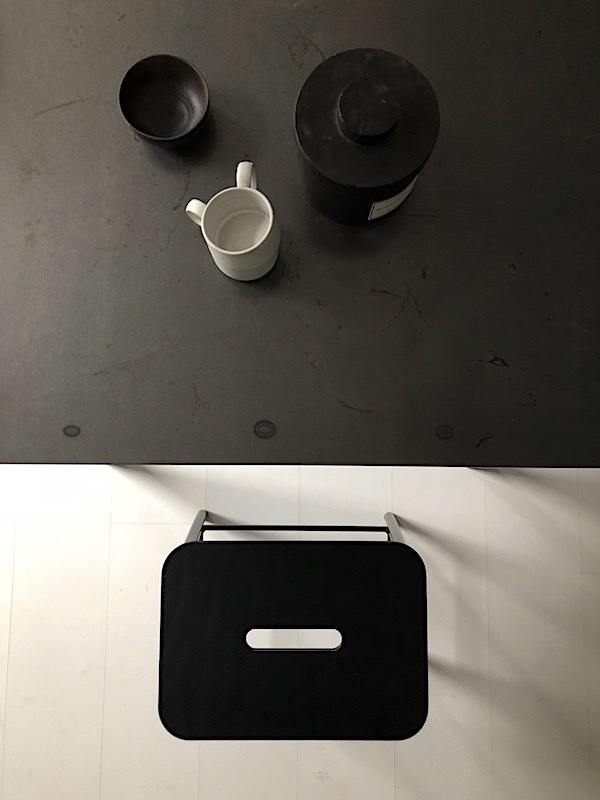 The table I designed is now available for purchase in different sizes to perfectly fit your home, find a direct link here: Dining table 'Stoer41' and good luck with this Instagram competition.